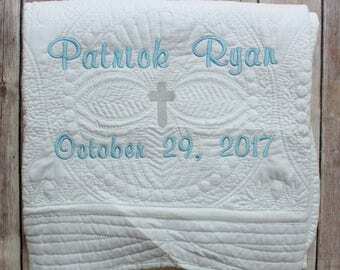 This listing is for a personalized monogrammed baby quilt for your sweet baby girl or boy's baptism. 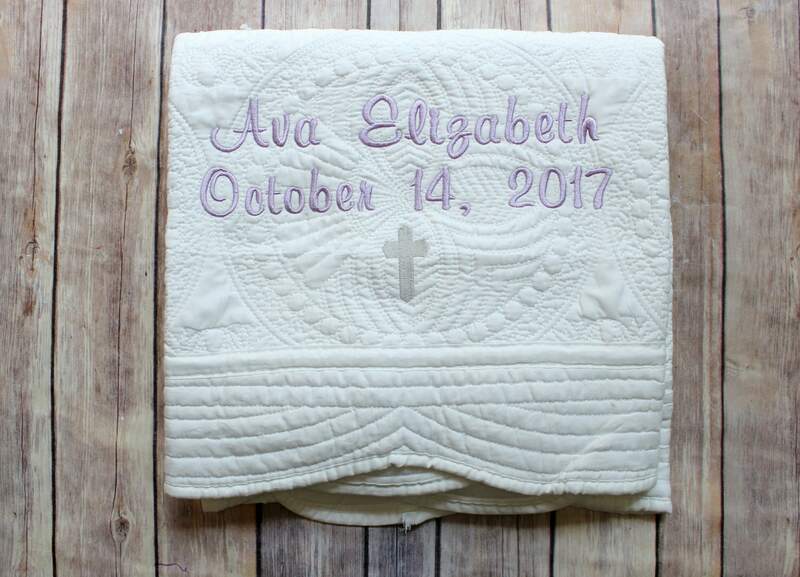 The scalloped edges of the blanket add a darling detail, and the soft lavender color of the monogram make this quilt extra adorable! 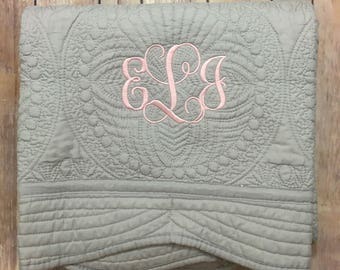 You can choose a different color monogram in the drop down options if you would prefer a different color than purple though! This blanket comes with the baby's name, the Christening date, and the grey embroidered cross below. 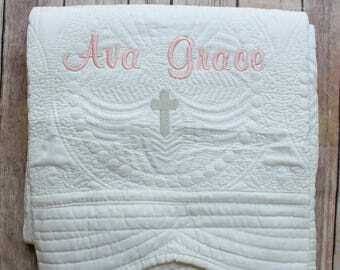 If you would like something other than grey for the cross, just let me know as well. 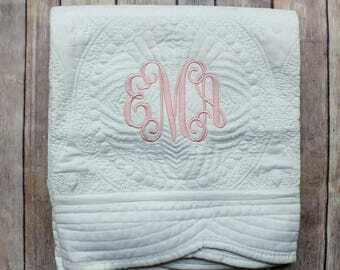 Great quality quilt and stitching! Turned out exactly how I wanted. 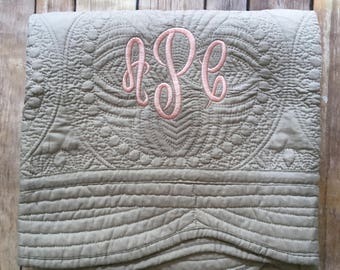 Can't wait to give this as a gift!